marijuana_law, a photo by MJBA2013 on Flickr. 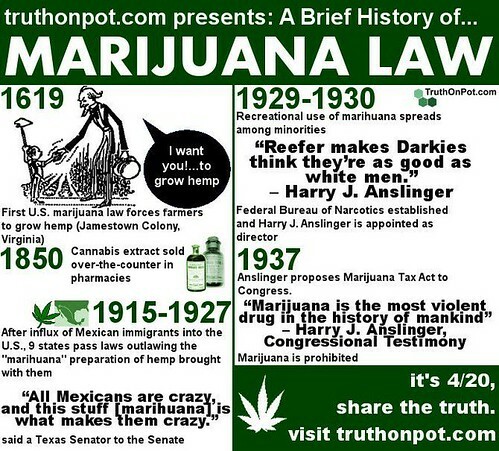 In honor of 4/20, we pass along this meme from the folks at truthonpot.com. This entry was posted in America, blogosphere, Cosmic Giggle, free pamphlet publishing and tagged cannabis, hemp, infographic, Marijuana, marijuana-law, MJ, MJ Headline News, MMJ. Bookmark the permalink.